The Express Cargo and courier logistics firms are an integral part of the nation's progress as the criticality and the value of the consignment is of ultimate importance. Delivery on time is the most critical component of the business. At the same time the the business landscape is competitive and as a result the operating margins are thin. 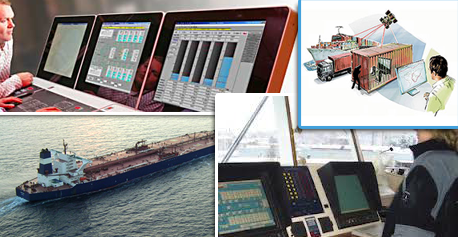 It is important for the industry to deliver on time while the fuel and other operating costs are under control. It is often difficult to monitor and manage the large fleet and freight remotely, so that the costs are under control and at the same the deliveries are on time. High logistics efficiency through 24/7 visibility of en route vehicles, on time delivery and minimum turnaround time is the key to success for a service provider in the business of express cargo service. With SXnavo's unique Visual monitoring solution deployed on your road transportation network and Fleet management solution on your associated or contracted fleet, SXnavo offers you real time visibility & delivery compliance of all your outbound deliveries. Fleet management system provide complete control on moving assets to your associated/contracted transporter while Visual cargo application offers you a single common platform to monitor real time delivery status, ETA (expected time of arrival at delivery), route adherence, en route exceptions and array of logistics MIS report based on historical data to pin point the en route bottleneck and take corrective actions and measures. Evaluate carrier performance > Analyze number of trips, performance with respect to delivery metrics & safety parameters.